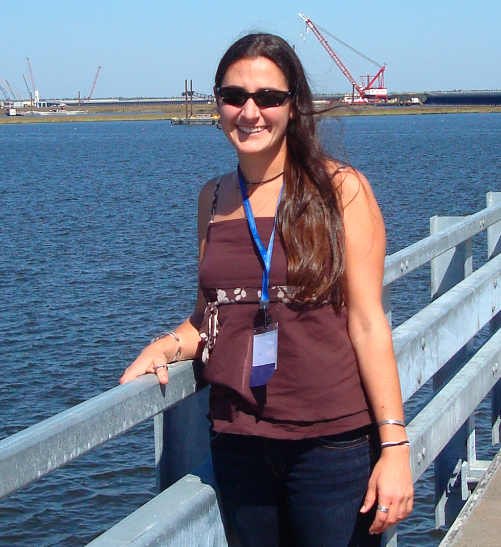 Jessica Ludy is an independent researcher with Unesco-IHE in Delft and a Water Resources Planner with ARCADIS. She recently completed one year as a Fulbright Scholar in at Delft Technical University, the Netherlands. Jessica has been a lecturer in Environmental Planning at the University of California, Berkeley, and a researcher with the NSF-RESIN Group. She was also the Associate Director of Flood Management at American Rivers in California where she worked to promote sustainable flood management strategies in regional, state, and federal agencies. Jessica is interested in collaborating on projects involving flood risk and ecosystem management that inform public policy decisions. If you have a project idea, please contact her. When not researching, Jessica can be found lecturing at the TU-Delft Department of Hydraulic Engineering, the Unesco-IHE Center for Water Education, and teaching about California at the occasional Dutch high school– where– she clarifies that not all American students get stuffed into lockers growing up. Jessica grew up on the Great Lakes in Michigan, earned a BSc at the University of Vermont in Environmental Science, and an MSc in Environmental Planning from the University of California, Berkeley. Her favorite river is the Columbia (OR/WA), favorite lake is Lake Michigan, and favorite ocean is the Pacific. Based in San Francisco Bay, Jessica can often be found competitive sailing and annoying her crew with “did you know?” musings of storm surge and sea-level rise scenarios at inappropriate moments. This website is not affiliated with the Fulbright program, ARCADIS, TU-Delft, Deltares, Unesco-IHE, or American Rivers.